Everything we do in our Worship Services at Wintergreen - singing, preaching, or bringing our tithes and offerings - is an act of worship to the Lord. Oftentimes, people mistakenly think that they have nothing to offer in a Worship Service if they do not sing, but that is not the case! Do you like to speak or read in public? Do you have a special talent to work with audio or video equipment? How about computer operators? Do you like to act or make movies? A gift for making people welcome? Play a musical instrument? Draw or paint? Even the children can contribute by serving as acolytes or singing. If you would like to be a part of our Worship and Music Team, please let us know; we would love to welcome you aboard! 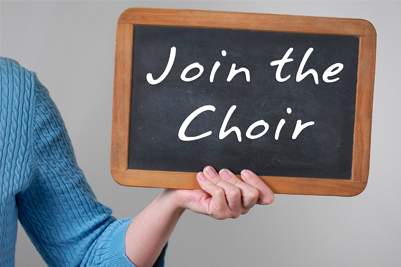 Every Voice is a traditional Adult Choir that shares special music from a variety of genres each week. If you would like more information about singing with Every Voice, send Lynn Gonzalez an email. Pure Praise is a small group of individuals that leads the congregation in singing contemporary songs during Morning Worship. For specific services such as Easter and Christmas, special choirs are formed, and everyone is invited to participate even if they have never sung in the past with a group. Check the website and calendar around those dates for more information.